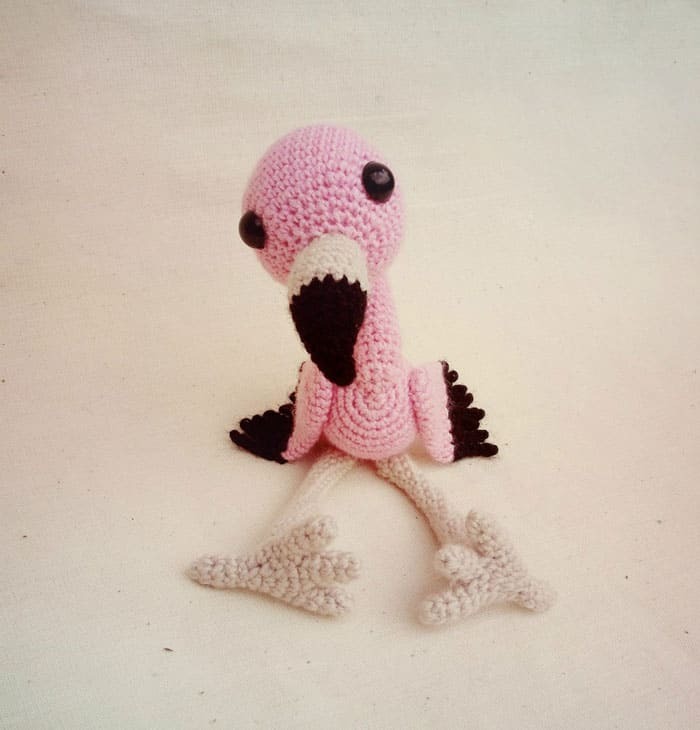 This free Baby Flamingo Amigurumi Pattern is designed for advanced-level crocheters. Take a chance and try it out! Fasten off, cut the yarn. Weave in the end. Begin with black yarn, then change to grey. Fasten off and cut the yarn leaving a long tail for sewing. Sew the beak and eyes to the head. Join in a circle and then crochet in rounds. Rnd 16: sc in the next 7 st, hsc in the next st, turn. 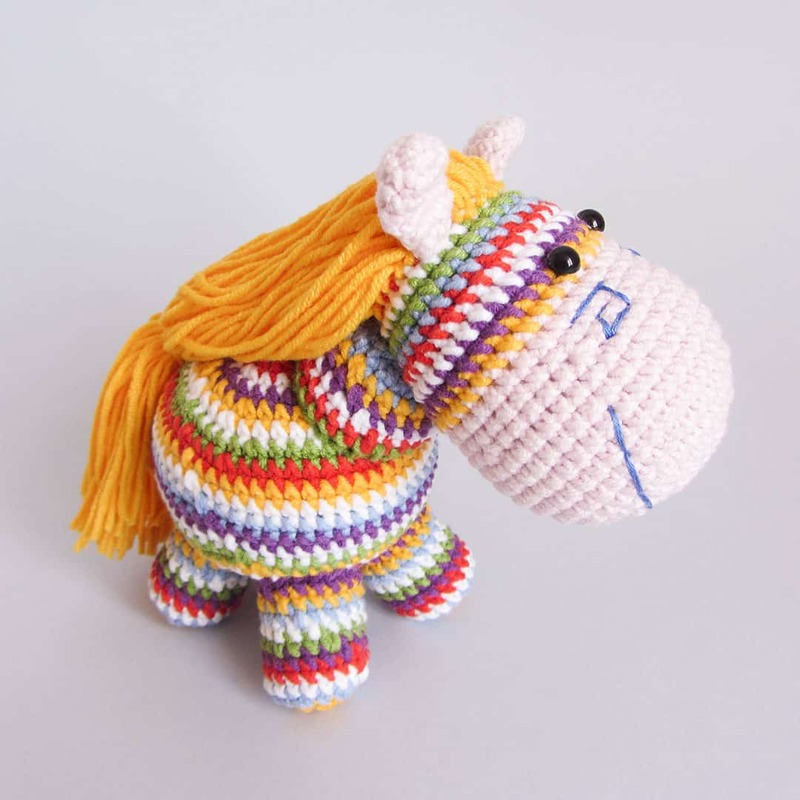 Begin crocheting in rows forward and back. Fasten off, cut the yarn. Sew the neck to the body and to the head. 15 ch and begin crocheting in the third ch from the hook. hsc in the next 3 st, sc in the next 4 st, hdc in the next 4 st, hsc in the next st.
Fasten off and cut the yarn leaving a long tail for sewing. Sew the central feather to the narrow part of the body. 14 ch and begin crocheting in the second ch from the hook. hsc in the next 4 st, sc in the next 3 st, hdc in the next 3 st, dc in the next 3 st.
Fasten off and cut the yarn leaving a long tail for sewing. 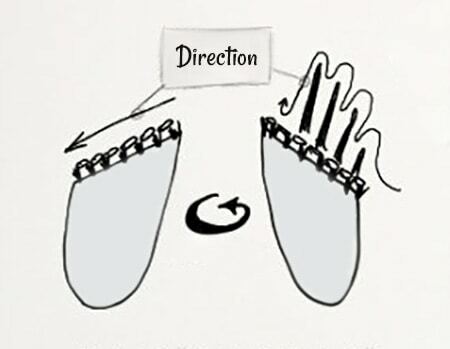 Sew long feathers at each side of the central feather. 10 ch and begin crocheting in the second ch from the hook. hsc in the next 3 st, sc in the next 3 st, hdc in the next 3 st.
Fasten off and cut the yarn leaving a long tail for sewing. Sew short feathers between the central and long ones on top of the long feathers. 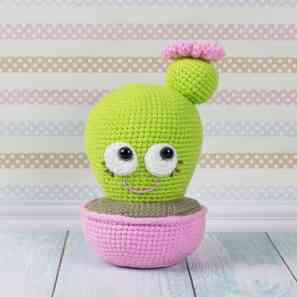 Make 2 with pink yarn. Then – dec, dec, sc in the next 5 st, dec, dec, sc in the next 3 st, dec, dec, hsc in the next st.
Fasten off, cut the yarn. Weave in the end. Flatten the part. Through 2 layers where you made double decreases, beginning from the pointed edge to the circular edge crochet 10 sc (this will be the base), turn. Skip 1 st, hsc in the next st.
Make 2 with grey yarn. 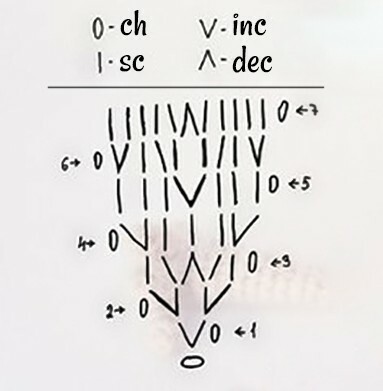 6 ch, leaving a long tail at the beginning, join in a circle. These is a toe. Make 4 toes for each foot. For the first 3 toes fasten off and cut the yarn. Fasten off, cut the yarn. Sew the last toe. 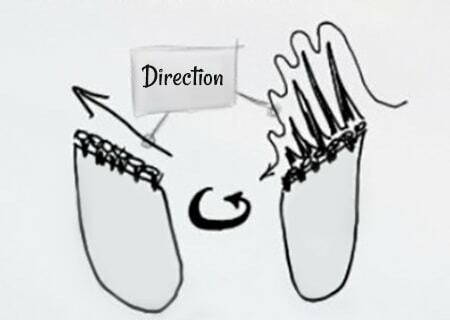 Sew the foot to the wider end of the leg. Sew legs to the body. Insert wire in them if you wish. Sew wings to the body. You can attach them so that they can flap. Bonjour je ne comprend pas le dessin du cou. pouvez vous m’expliquer sil vous plait. .. merci beaucoup. Can you provide details where you purchased the eyes? They really give her character!! 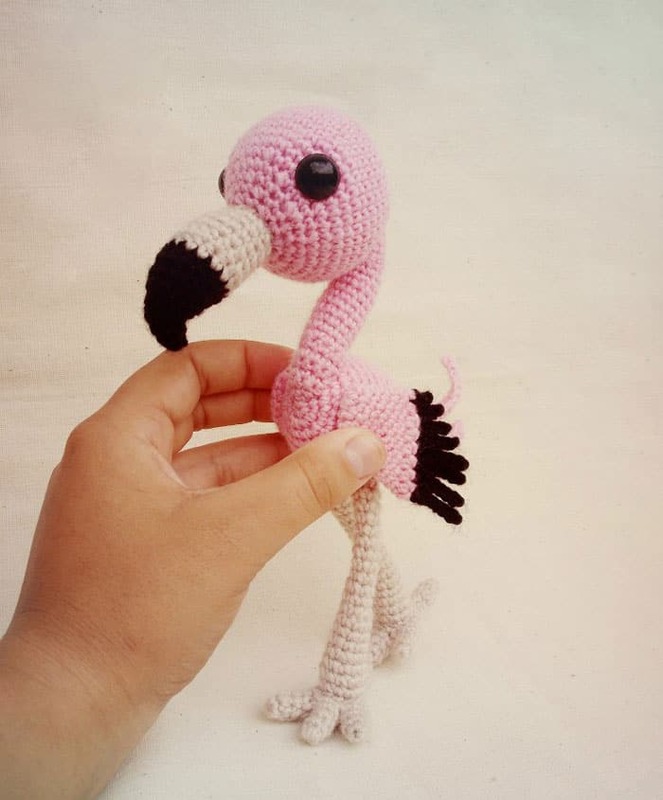 Hi, I love this pattern but I’m a little confused with the feet, specifically the toes. I see the first four rows makes a toe, and you need four. But I’m confusing how you would join the fourth to the first three. 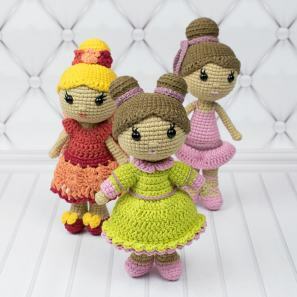 I see the three together would have the 14 stitches needed in row six, but I’m just lost when it comes to adding the fourth toe to the others. I would really appreciate some help with it. Thank you! Could you please help me with row 3 of the neck. Is it sc sc DC sc sc? If so that’s 5 stitches and I only have 4. Thanks. What does row 2 of the neck diagram mean? Is it 2 increases? I dont understand on the neck where you say crochet forward and backwards now. What does that mean??? It means to crochet in turning rows. Someone help! I CANNOT figure out the feathers for the wings. The diagram is not making any sense to me, I dont even know how to start them. I’ve got the pink base done but I have no idea about the black. I’m confused on Rnd 6 of the beak: when you say: “2 hdc together”, does it mean 2 hdc in the next 2 st? On the othe hand, the stitch count does not come out on rounds 6, 7….¿?¿? Hi what do you mean by hsc? Hi there, Can you tell me what size you used for the eyes? Also did you only put pipe cleaner in the feet? Where do you place the 1st feather? I am unclear where it goes. Also, the 1st side of that feather has 15 stitches to do, but you start on the 3rd stitch? 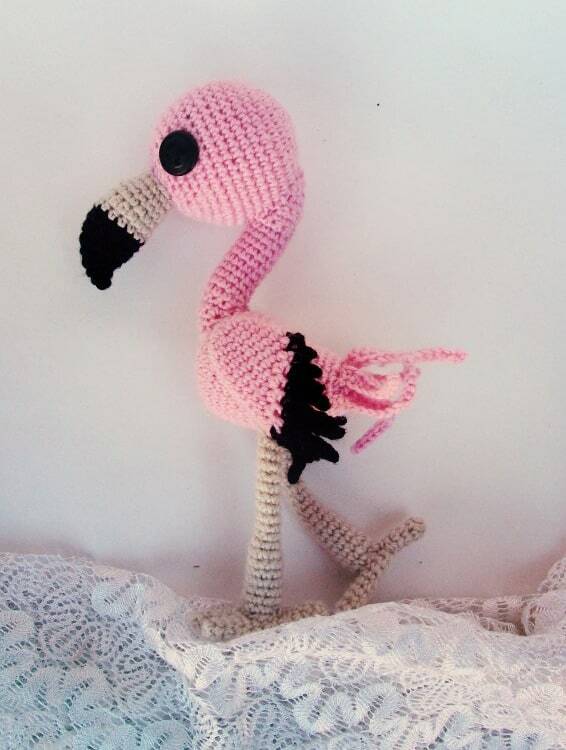 I LOVE THIS CUTE FLAMINGO!!!! I’m having a little trouble with the feet though. Can anyone help me? Thanks! I’m having a problem with the neck. 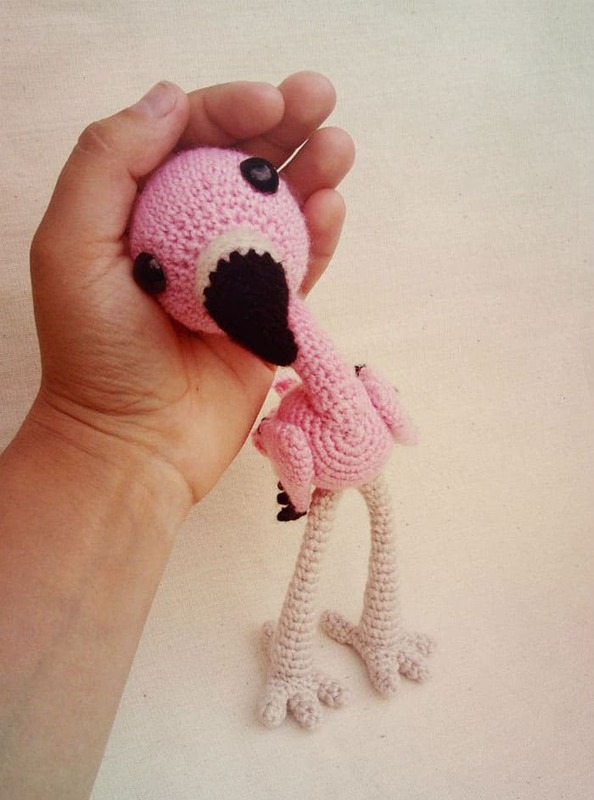 Do I chain 2 and then sl st it into a circle and crochet in rounds for 8 rows? Is anyone else having this problem? HELP! 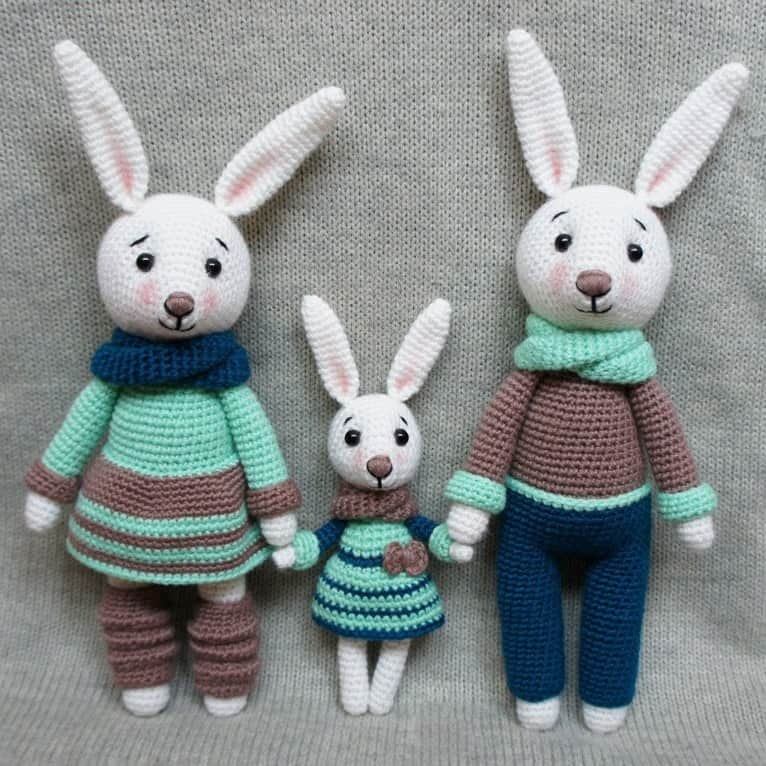 Hi Emily, please crochet the neck in turning rows, don’t join to make a circle. The feet are confusing! Anyone else have this problem? Yes. I am having trouble with the feet as well. What hook size did you use? 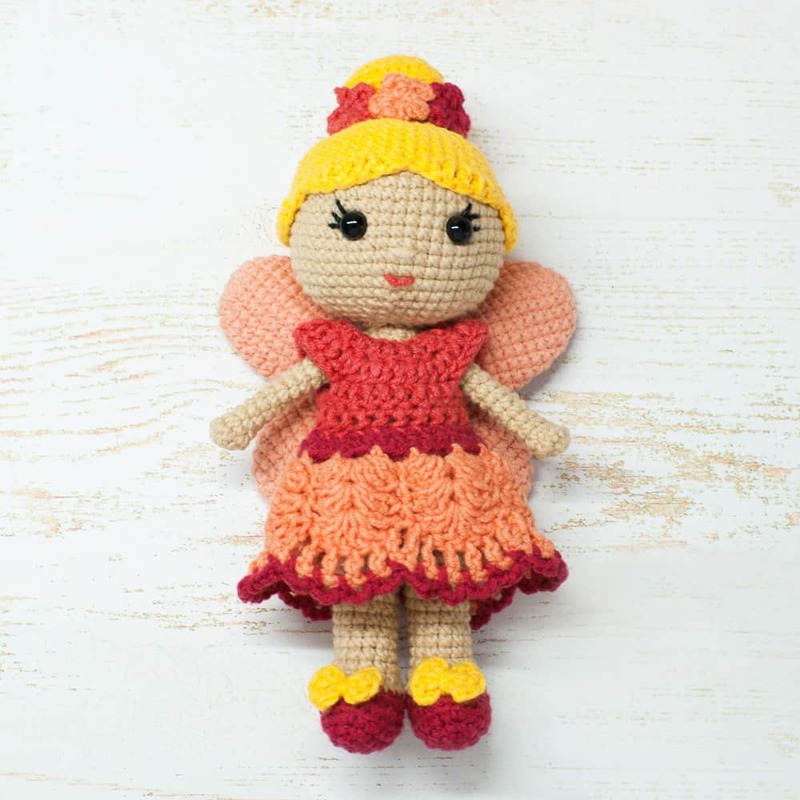 Hi Dawn, you can use baby yarn and 2.0-2.5 mm crochet hook. Which row did you place the eyes and how many stitches apart? I love your placement for them! Is there a mistake on row 18 ofc the neck? The stitch count does not come out right. I get only 9 instead of 10 and I have two stitches left. Hi Lori, yes, you’re right 🙂 Thank you very much for your note! 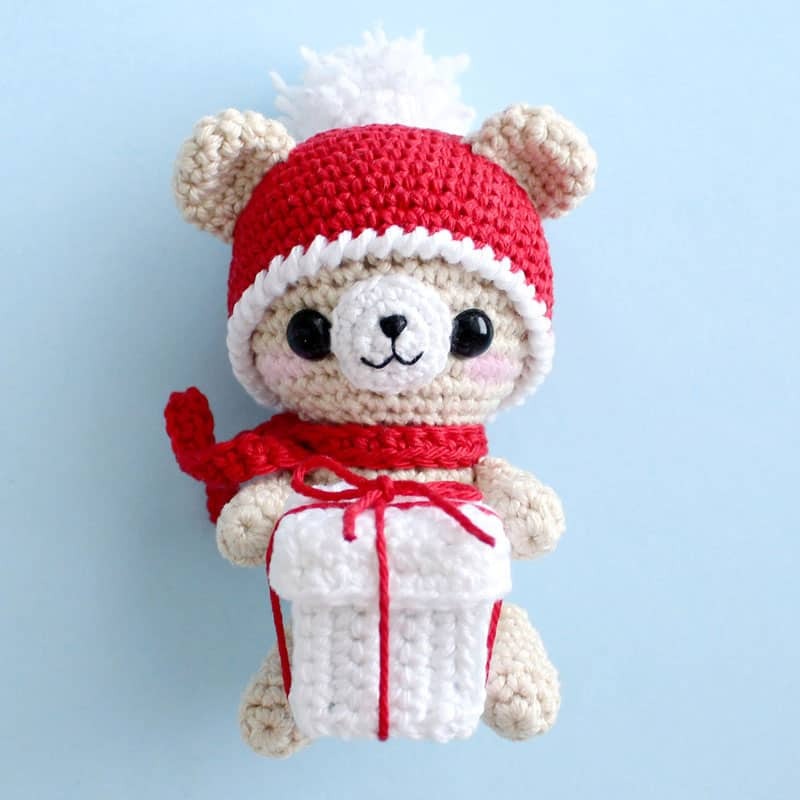 I updated the pattern, please check it.